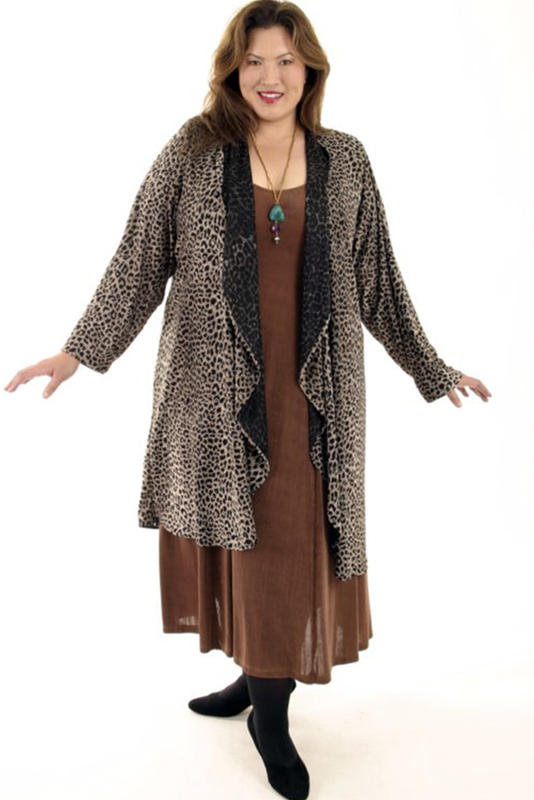 Plus Size Designer Drape Coat Leopard Print Taupe Black Was $400 Now Only $200! 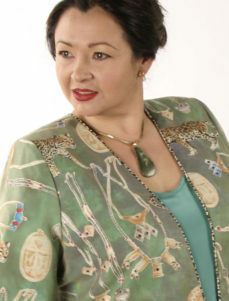 This fun and flowing leopardskin print has the added plus of having stretch, which makes it even easier and more comfy to wear. 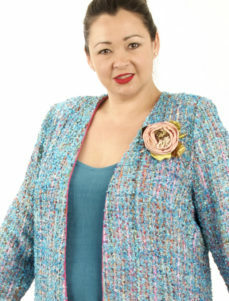 It’s chic and will work beautifully over anything, navigating the scale of dressy-ness with ease, from jeans to gowns. Shown here over a Copper Slither Tee Dress and a Caramel Slither Slip Dress, you might prefer a different style or color so Consult with us! You’ll really enjoy the creative process and the very personal result. 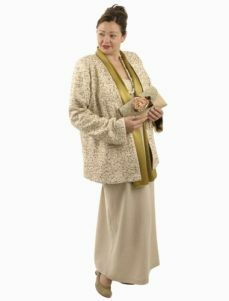 Be the first to review “Plus Size Designer Drape Coat Leopard Print Taupe Black” Click here to cancel reply.